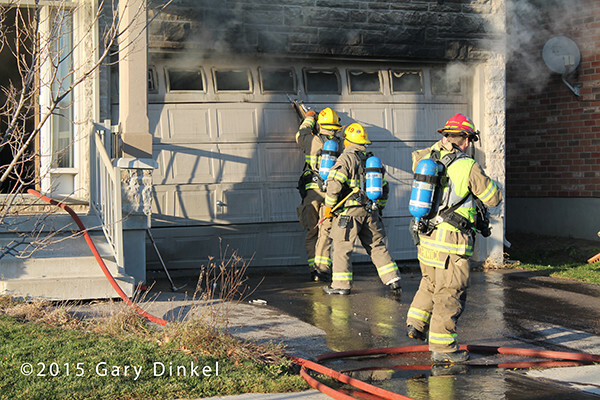 Kitchener P4, P6, A1, R1, Tank 1, P7, and Car 23 were dispatched to a garage fire at 1082 Wilson Ave January 25 at 16:15. 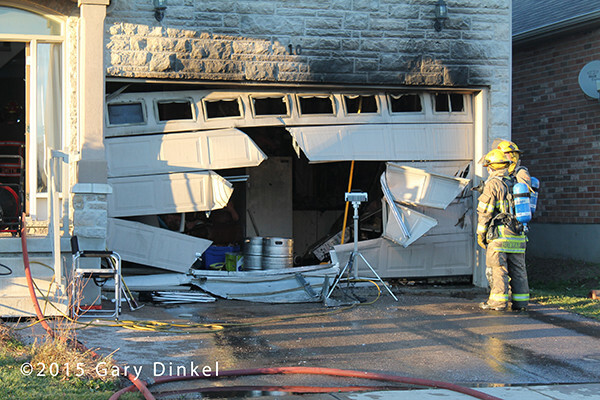 The tanker was added as the closest hydrant would have required a pumper relay. 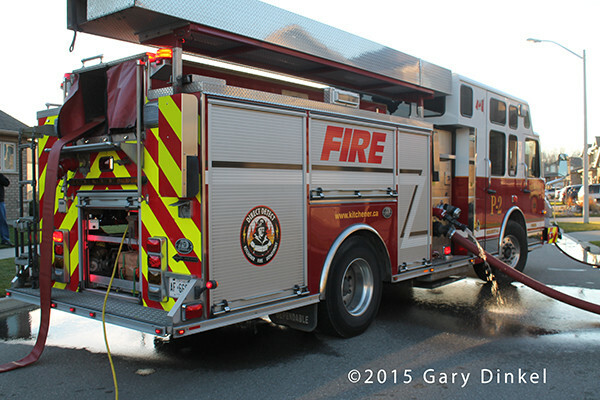 The tanker is cross staffed by P7 firefighters, so they bring both trucks when the tanker is needed. 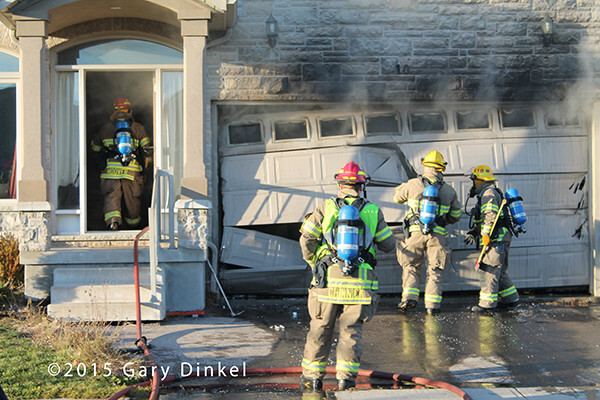 P6 arrived and reported a fully-involved garage with one exposure of a small trailer near the front of the garage. P6 pulled one attack line and knocked what they could with their tank. P4 arrived shortly after and pulled two lines from their truck to work the fire. The tanker hooked up directly to P4 and made one trip to refill their 2,000 Imperial gallon tank (2400 US). 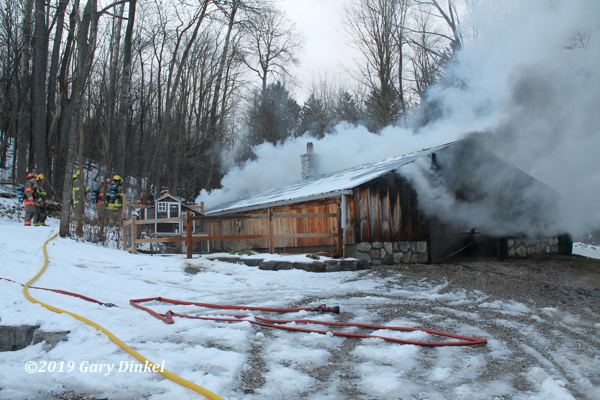 The fire gutted the large garage and an antique tractor that was inside. Damage was pegged at $100,000. 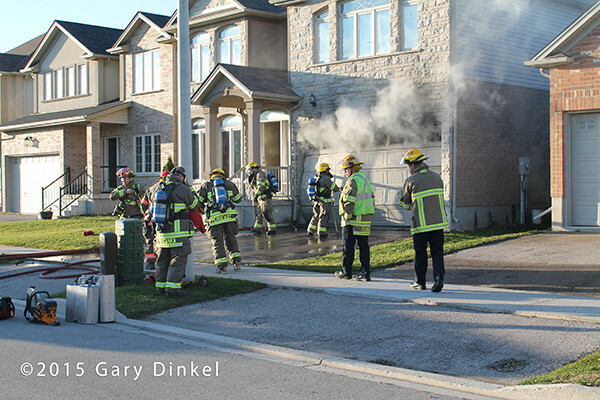 Box 690 provided rehab, photos and video taken 20 minutes into the fire. 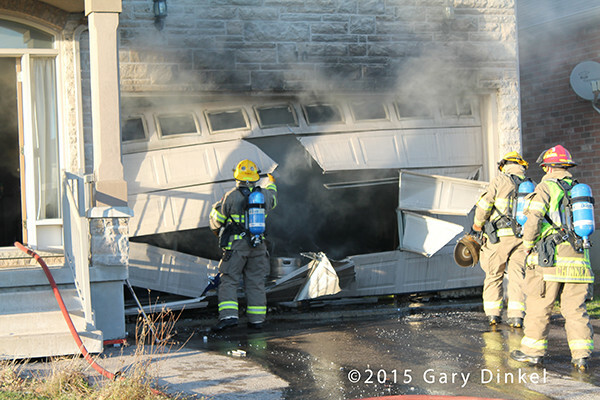 20 November 2015, Kitchener, Ontario firefighters were dispatched to a structure fire at 10 Paige Place at 15:45. 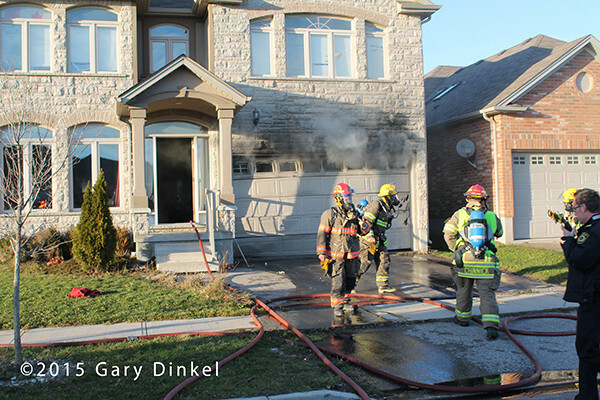 P2 arrived on scene and reported smoke and flames visible from an attached double garage. 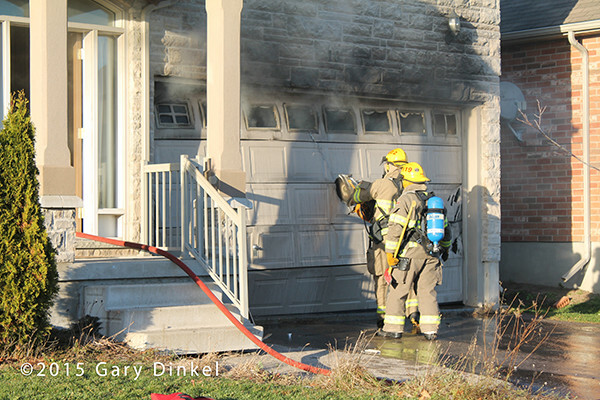 A quick 360 revealed the fire was contained to the garage. Crews knocked the fire down in five minutes. Box 690 on scene 1.5 hours providing rehab.